Stansbury’s Kaden Nicholes delivers a pitch during an April 2018 game against Tooele at Dow James Park. Nicholes, who recently graduated from Stansbury High School, has signed a national Letter-of-Intent to play baseball at Dawson Community College in Glendive, Montana. 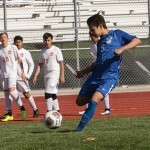 Stansbury’s Kaden Nicholes follows through on a pitch during the Stallions’ March 2018 home game against Viewmont. 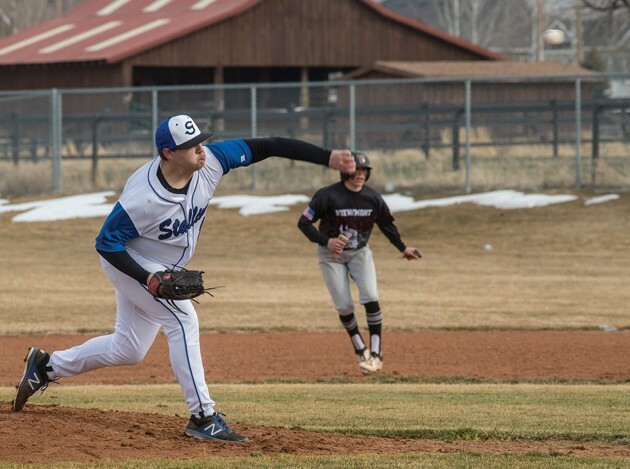 Nicholes, who led the Stallions with a 3-1 record and a 3.47 earned-run average, received a scholarship that will pay half of his tuition to play baseball at Dawson Community College in Glendive, Montana. 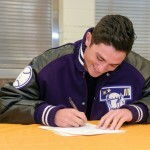 He is the 16th Stansbury baseball player to sign a national Letter-of-Intent. 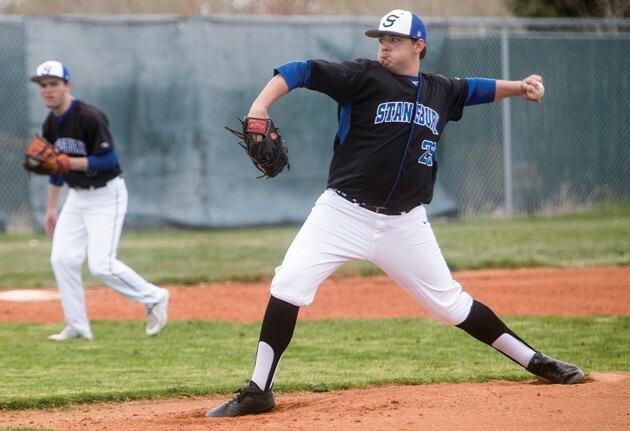 Stansbury’s Kaden Nicholes wasn’t necessarily the ace of the Stallions’ pitching staff at the beginning of his senior season, but his work ethic made him one of Stansbury’s most trusted options on the mound. It has also earned him the opportunity to extend his baseball career. 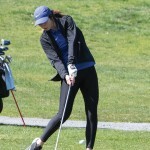 Nicholes has signed with Dawson Community College, a two-year school located in Glendive, Montana, after making an impression at the recent senior all-star game. Nicholes is the 16th player from Stansbury to sign a national Letter-of-Intent to play college baseball in the past nine years. His coach, Ray Clinton, said Nicholes’ signing is an indication of just how much work he put in both as an athlete and as a student to get Dawson to offer him a partial-tuition scholarship. Nicholes credits Clinton and his coaching staff for helping him get to this point in his career. In nine appearances on the mound, Nicholes recorded a 3-1 record with a team-best 3.47 earned-run average. He had 56 strikeouts and 19 walks in 40 1/3 innings, and opposing batters had a .219 batting average and a .313 on-base percentage against him. He also pitched two scoreless innings in the all-star game.